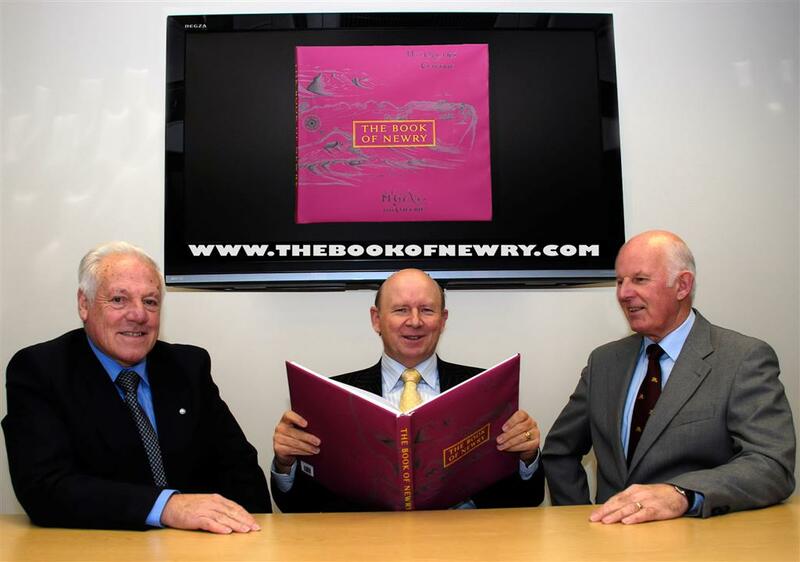 Launching The Book of Newry - (left to right) William Mc Alpine, Michael McKeown and Irwin Major. The Old Newry Society, who are celebrating their 40th Anniversary this year, will officially launch their long anticipated ‘The Book of Newry’ in the Sean Hollywood Arts Centre at 7.30pm on Tuesday 18th November 2009. The group of historians, established in the late sixties, has been working tirelessly over the past five years to produce this book to celebrate the history and culture of Newry City. Within its 176 pages are stories of the people, buildings, places and circumstances that helped shape the town into the thriving city it has become today. 500 copies have been bought by presubscribers and these will be distributed to those who have been invited to the launch event. Mr John Fisher and Bishop Francis G Brooks, Patron of the Old Newry Society, will jointly launch the book. If you would like to attend this gala event on Tuesday 18th November, please call Claire Allen on 028 302 54524 before Friday 14th November 2008.